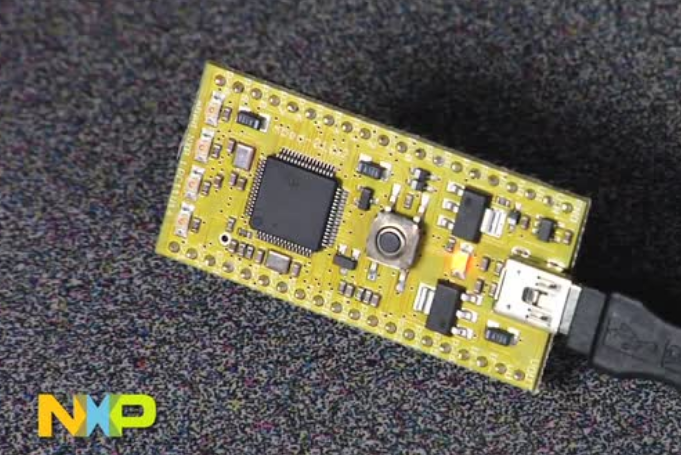 This is an overview of the Embedded Artists LabTool Add-on Development Board to the LPC-Link 2. LabTool make use of all features on the LPC4370, creating a powerful development tool including logic analyzer, oscilloscope, and signal generator. 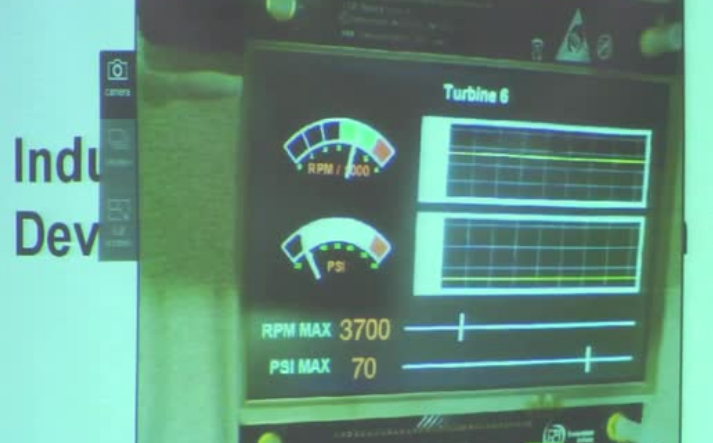 A demonstration of the IS2T graphics library using the NXP® LPC1788 Embedded Artists board. FreeRTOS from Real Time Engineers Ltd. has become something of a de facto standard for microcontrollers, with over 100000 downloads annually. It is professionally developed, strictly quality controlled, robust, supported, and free to use in commercial products. LPCOpen is a comprehensive set of drivers and middleware, available from NXP®. Richard Barry, the creator of FreeRTOS, will take you through the basics, explain where and how using an RTOS will improve your design, and show you how to get started using examples from the LPCOpen platform and the LPCXpresso IDE. 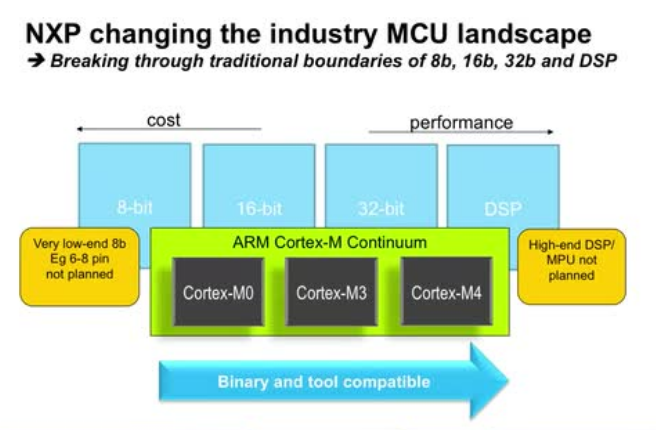 This presentation gives an overview of NXP's new LPC4300 Cortex-M4 digital signal controller, including a discussion of Cortex-M4 features, product family members, package options, and tools. 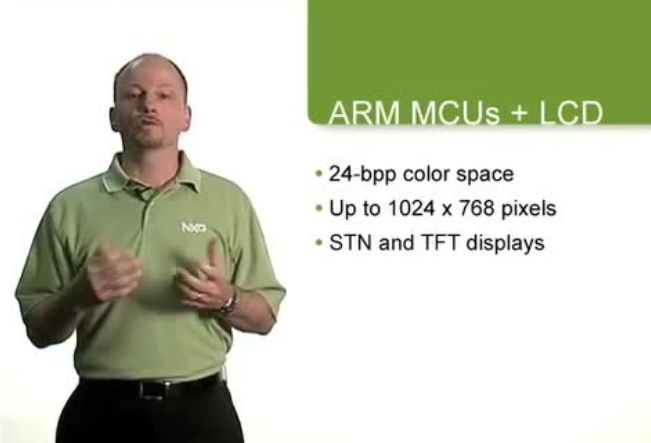 This 8-minute session was presented at ARM TechCon in November, 2010, by Gordon Cooper, Product Marketing Manager, Microcontrollers Product Line, NXP Semiconductors. 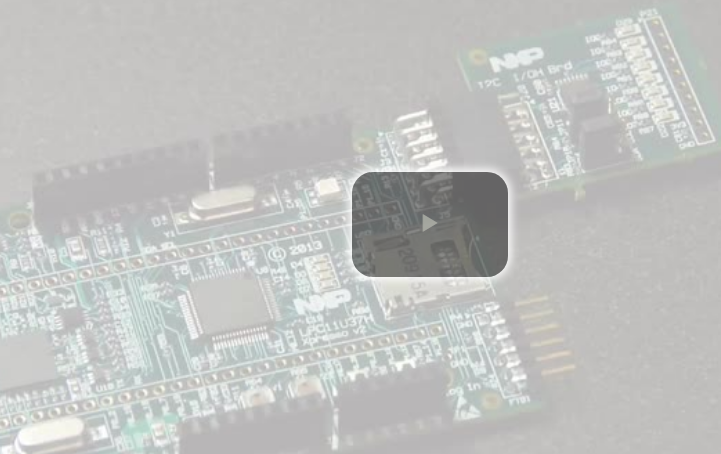 This presentation introduces NXP® Semiconductors' microcontrollers including the Cortex-M0 based LPC1100 series, the Cortex-M3 based LPC1300 and LPC1700 series, and the new Cortex-M4 based LPC4300 series. 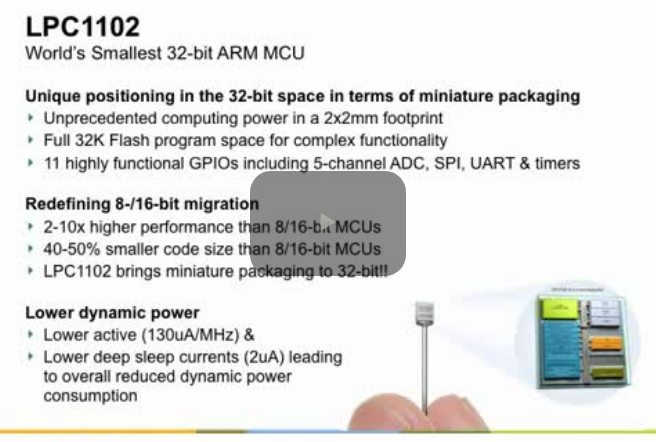 This 8-minute session was presented at ARM TechCon in November, 2010, by Gordon Cooper, Product Marketing Manager, Microcontrollers Product Line, NXP Semiconductors. 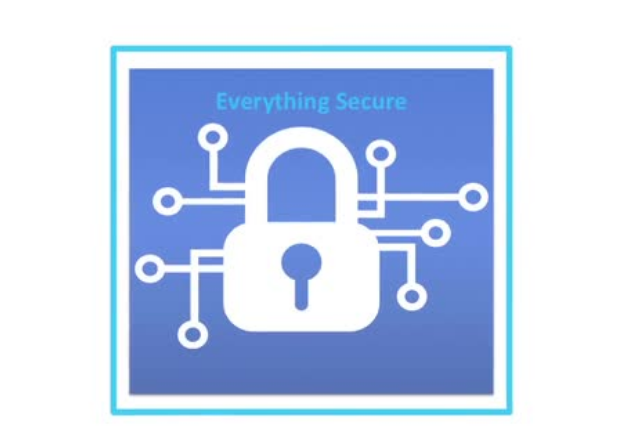 The LPC43Sxx and LPC18Sxx microcontroller families offer integrated security features to protect application code and data communications in connected applications. 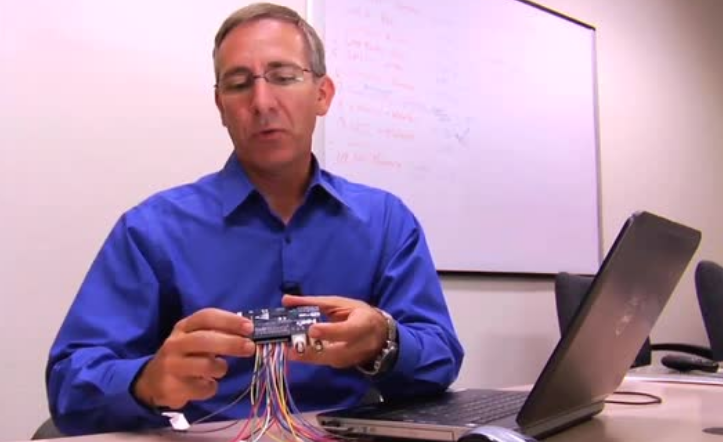 This video is a step-by-step getting started guide for using the I/O Handler LPC11U37H LPCXpresso board. In it is the description of how to download the IOH libraries, how to connect the daughter cards to LPCXpresso board, and how to enable the IOH software block. 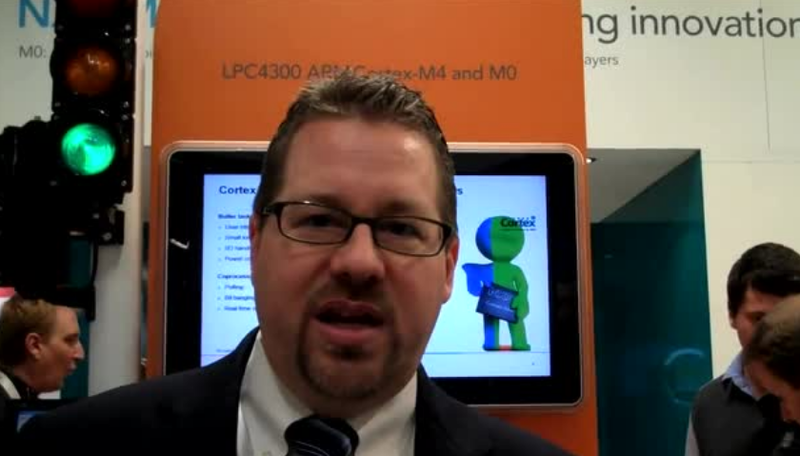 Gordon Cooper, product marketing manager, microcontroller business line, NXP® Semiconductors, provides a brief overview of NXP's LPC4300 Cortex-M4 digital signal controller at Embedded World 2011. 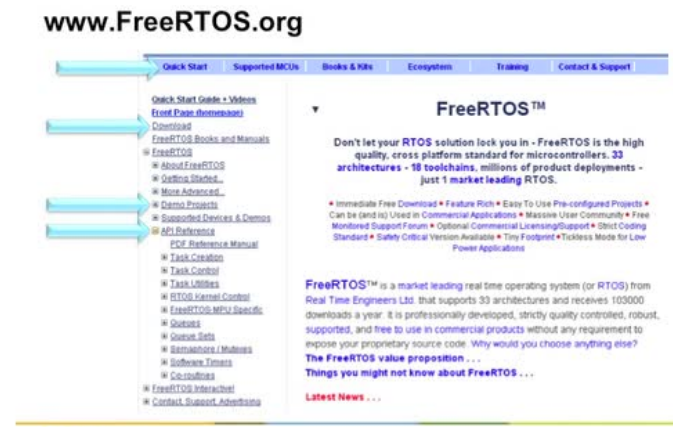 FreeRTOS from Real Time Engineers Ltd. has become something of a de facto standard for microcontrollers, with 103,000 downloads during 2012 alone. It is professionally developed, strictly quality controlled, robust, supported, and free to use in commercial products. Richard Barry, the creator of FreeRTOS, will take you through the basics, explain where and how using an RTOS will improve your design, and show you how to get started using the LPCOpen platform and the LPCXpresso IDE. 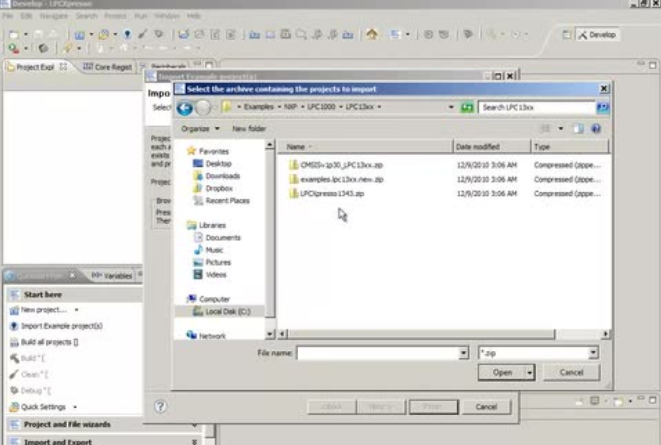 Learn how to use FreeRTOS, a real-time multitasking environment. 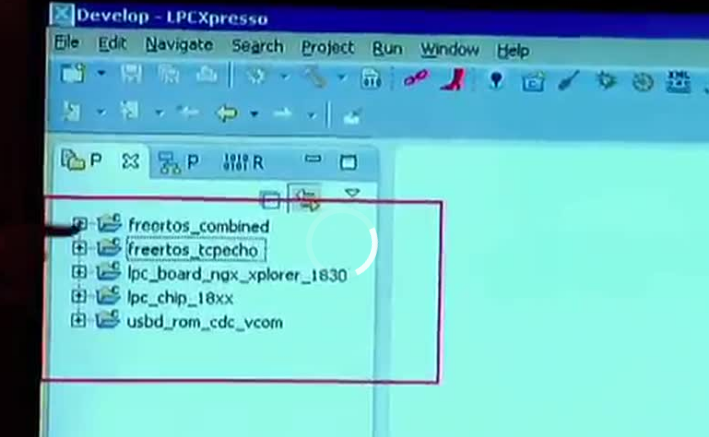 In this video, the FreeRTOS kernel is used with the free LPCXpresso environment, on the LPC1769 microcontroller. 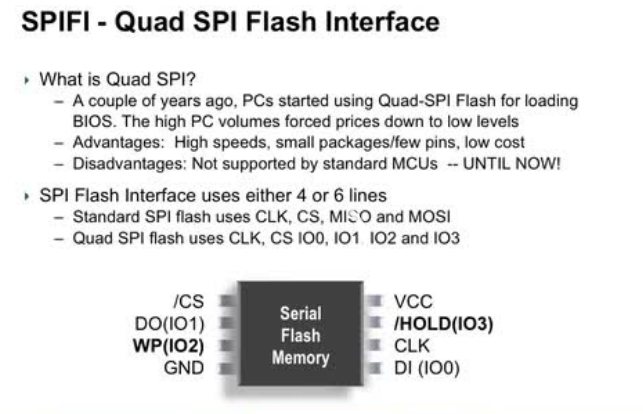 Examples include basic LED flashing, as well as more comprehensive demo with networking, a file system, and command line input. 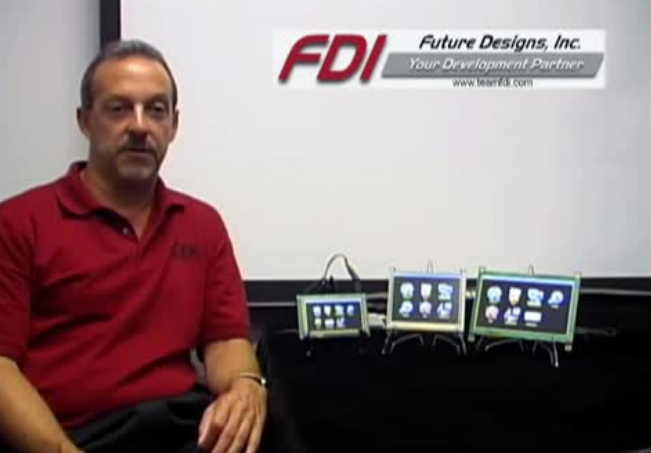 Future Designs presents their uEZ GUI family of products working on the NXP® LPC1788 MCU. Future Design's uEZ GUI showcases the advanced capabilities of NXP's Cortex-M3 microcontroller and its built-in true color XGA LCD controller. 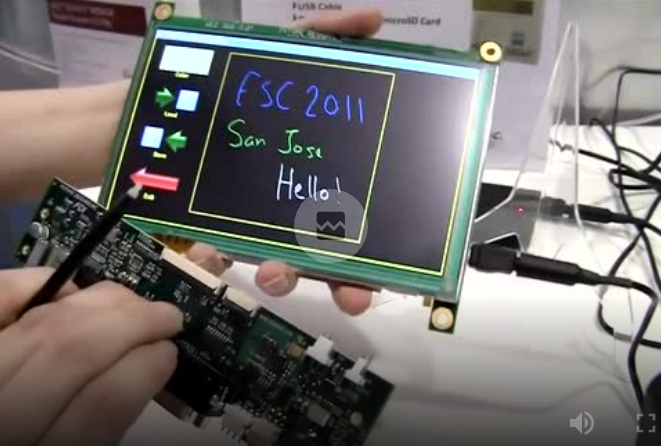 This demo was taken on the showroom floor at the Embedded Systems Conference in San Jose, 2010. 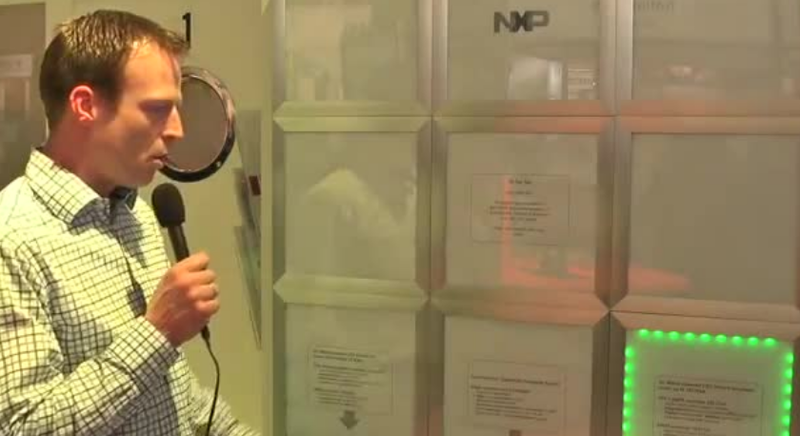 NXP's newest product additions, the "connected tags," extend the conventional NFC and RFID portfolio far beyond traditional transactional use-cases. 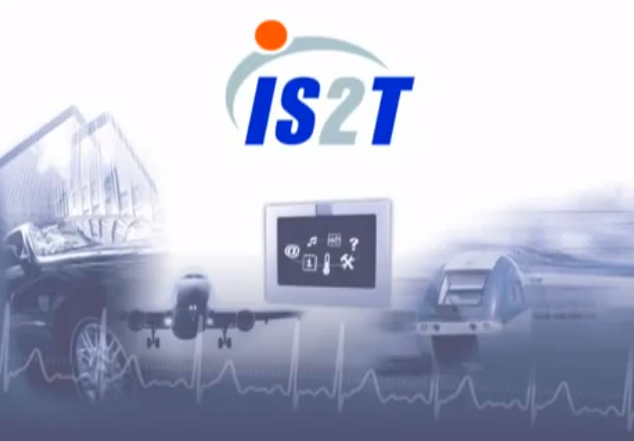 Applicable in various consumer electronic products by enabling a rich remote user interface, the new NTag I2C enhances convenience, extends product features, and enables alternative bi-directional connectivity for consumers without the need of power through the use of a "zero-power" power harvesting feature. This session will discuss new opportunities in how consumers interact with electronics and how designers can differentiate product offerings using the NTag I2C technology from NXP. 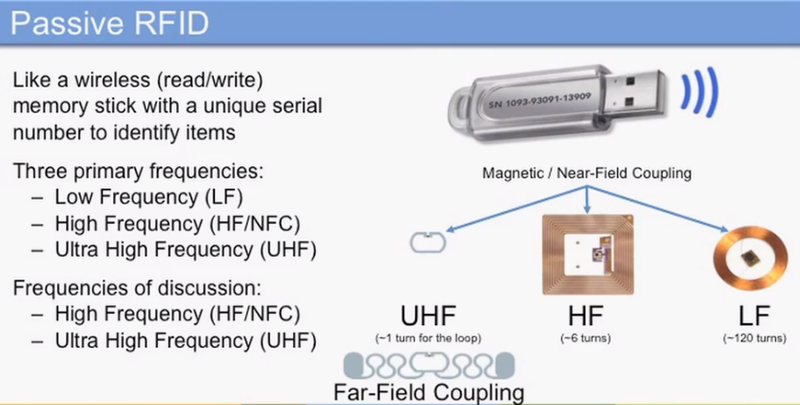 Listen to how these innovative solutions transform basic functionality products into feature-rich electronics by extending the graphical user interface into today's NFC enabled smart phones. USB-to-serial applications has been traditionally supported by 8-bit microcontrollers but now with the advent of the Cortex-M0 USB LPC11U00 microcontroller series, customers can expect much more performance and better code density while maintaining lower power at a much lower cost. Also, by offering USB drivers (HID, MSD, CDC) in ROM, free Product IDs and easy-to-use tools with the LPC11U00 low cost USB Cortex-M0 microcontrollers, NXP® delivers all the key ingredients that embedded engineers need for successful USB application development.